The right pair of sunnies can turn an average outfit into a triumph, especially if they’re one of the latest crop of celeb-approved shades. Beloved of Bella and Gigi Hadid, Sofia Richie et al, Le Specs’ narrow, Nineties-esque cat-eye sunglasses have become ubiquitous in paparazzi shots of fashion’s hot young things of late. 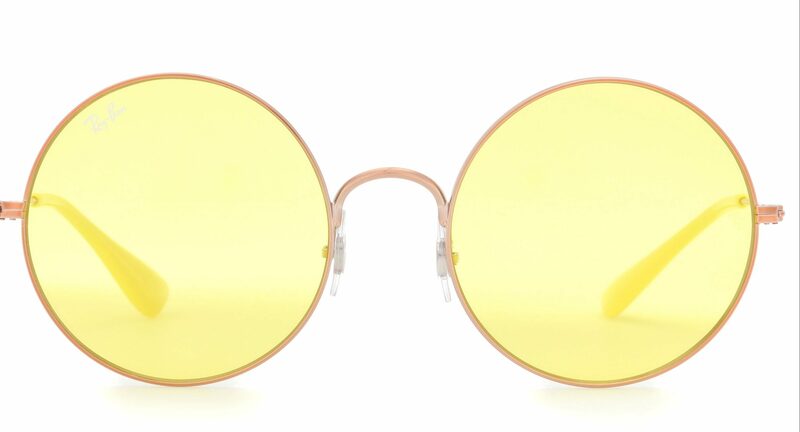 The good news is that these skinny, eyebrow-revealing sunnies are less than £100 – but if you want an even cheaper pair, Topshop does a decent £20 dupe. 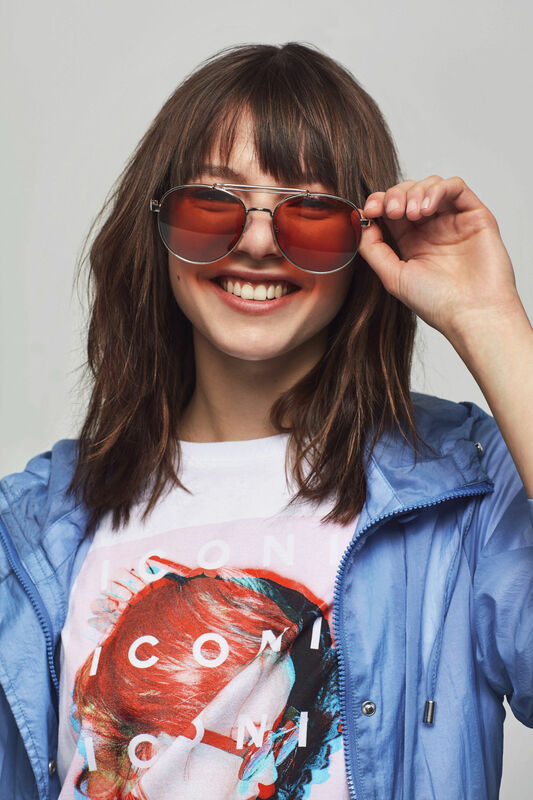 Round frames are making a big comeback this season – with huge, retro-style sunnies showing up in lots of designer collections, from Acne to Max Mara. 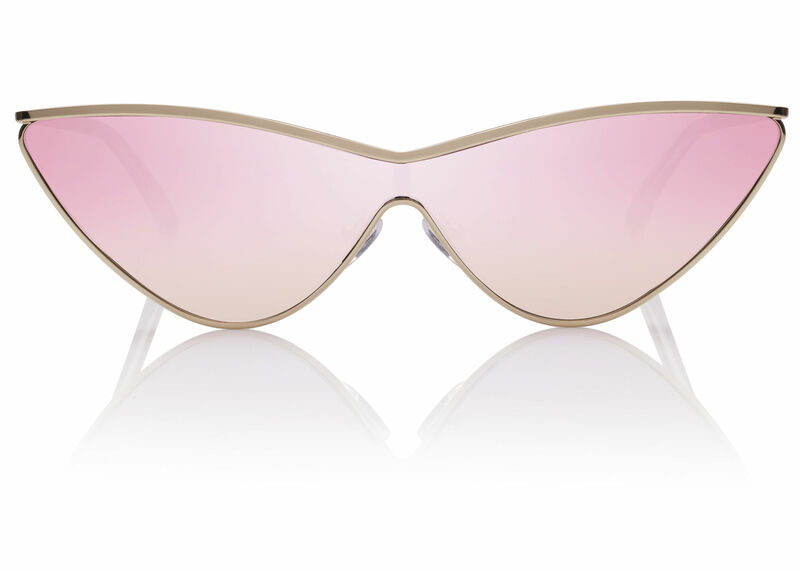 Pop on a pair of these face-shielding shades when you want to exude celeb-dodging-paps-at-the-airport kind of nonchalance. 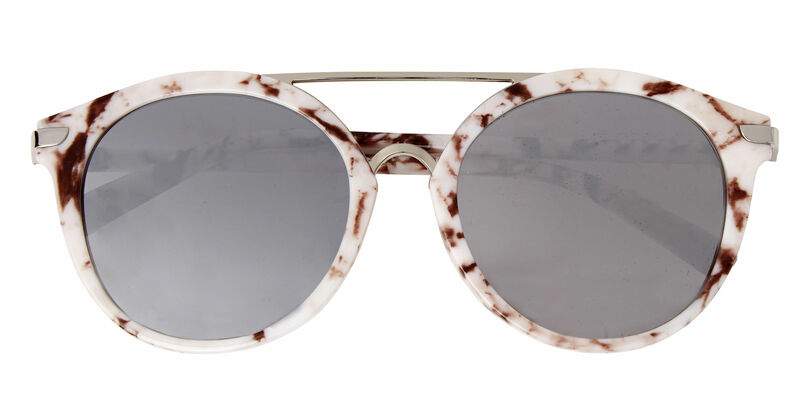 Not literally marble, of course – eyewear that heavy would be hard to keep in place – but the marble trend has made its way from the interiors world to accessories. If tortoiseshell was your go-to for shades before, try switching it up with this modern motif. Dolce and Gabbana have brought their signature Sicilian prints to sunglasses, with gorgeous results. From fuzzy colourful florals to pink rose designs, these frames are as summery as sunnies get. Gucci’s blinged-out shades have been a massive hit with the fashion crowd this year (can Alessandro Michele do no wrong? ), but at more than £400, they’re not exactly cheap. 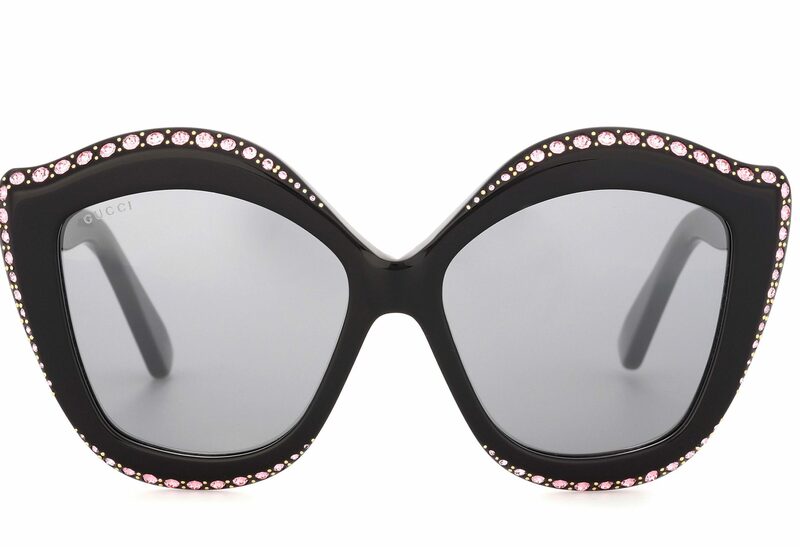 To try the trend at a less anxiety-inducing price point, look for oversized glittery specs on the high street. Another consequence of the Nineties revival (will it ever end? ), we’re seeing more rose-tinted spectacles in the shops. And yellow-tinted, and red… you get the picture. 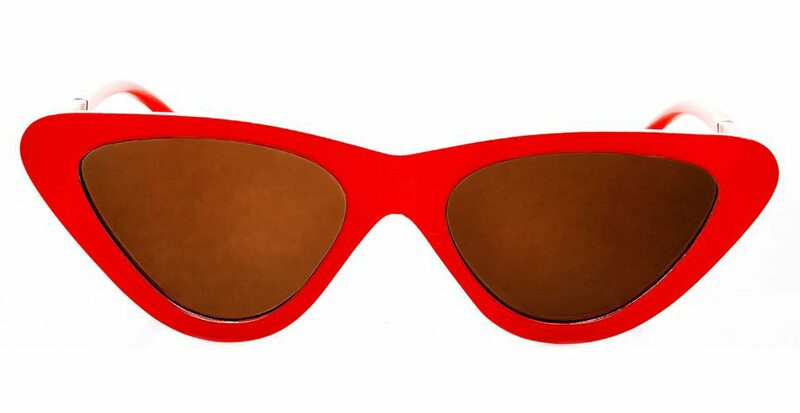 Sunset-hued sunnies are the ones to be seen in this summer.